After the Ford Mustang was introduced in 1964, American automaking was never the same again. The Mustang appeared in an array of classic American films, making a splash with its sporty and sophisticated design and exhilarating performance. The beloved model turned 50 in 2014, and this August, it crossed another milestone: Ford has now produced 10 million Mustangs. The new 2019 Mustang GT convertible model is a marvel to behold, and this August in Michigan, a Wimbledon White version of it was the 10-millionth Mustang ever built. 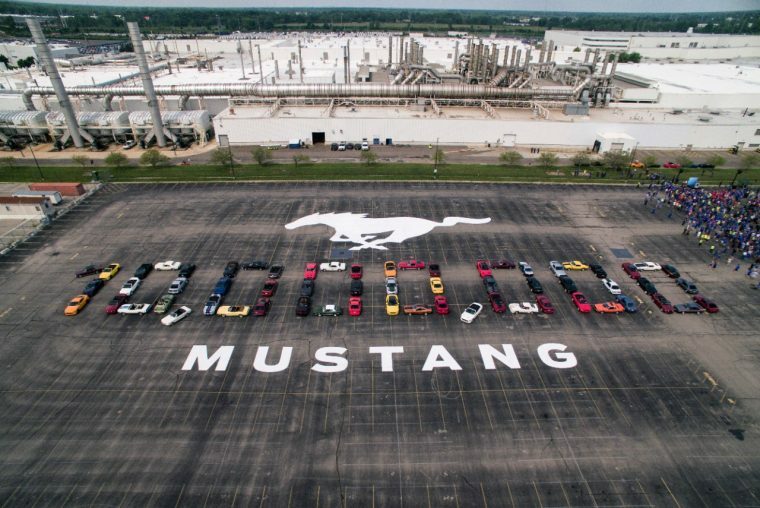 To celebrate such a momentous occasion, Ford gathered together 60 Mustang owners and enthusiasts from all model years to spell out “10,000,000” in the parking lot of the Flat Rock Assembly plant. In addition, Ford had three P-51 Mustang fighter planes perform above. To commemorate the occasion, Jim Farley, the president of global markets for Ford, said, “Mustang is the heart and soul of this company and a favorite around the world.” The 2019 Mustang continues the nameplate’s prestigious legacy and offers modern power, performance, and style to drivers around the world. The 2019 model year also offers a special-edition Mustang BULLITT version of the vehicle, which is a tribute to the 1968 Mustang featured in the film “Bullitt” and driven by the forever-cool Steve McQueen. Want to test-drive the new Mustang? Stop in for a visit at Nick Nicholas Ford and we’ll get you behind the wheel.